Born in Arizona and raised a California girl, Marsha Riemann said that when she first came over Timmerman Hill in 1971, she couldn't believe her eyes. "We crested that hill and saw all that snow," she said. "Even though it's always the same thing, it's overwhelming every time." Riemann has lived in the valley ever since, and has been nominated as a member of the 2012 Heritage Court, a group of women honored by the Blaine County Historical Museum for their contributions to the heritage and history of the county. Riemann, nominated by the Kiwanis Club, was nominated for her work with Blaine County government. Riemann said she was "honored" to be nominated, especially with close friend Mary Ann Knight of Bellevue and environmental expert Ann Christensen of Ketchum. "When I moved up here ... Mary Ann and I lived just across a field from each other," Riemann said. She added that her youngest grandson attends kindergarten at a local Montessori school, where Christensen often brings animals and teaches the students about nature. "My grandson thinks she's the best there is," Riemann said with a laugh. 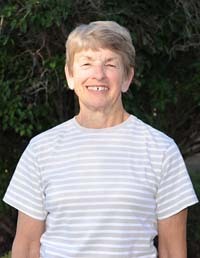 Riemann was living in Anaheim, Calif., with her husband and two sons when she first heard about the Wood River Valley. She had been raised not far from Anaheim in Redondo Beach, where she and her three siblings essentially lived on the beach, taking the bus there and back almost every day. "We loved the beach, so that's where we spent our summers," she said. Riemann married, and two children later she found herself living in Anaheim when suddenly her sister moved to the valley with her husband in February 1971. Little did Riemann know that her life was about to take a similar course. "Unbeknownst to me, my husband had asked them to look for a job for him!" she said. By March, Riemann's now former husband, Charlie, had the opportunity to buy a heating and refrigeration company—now known as Charlie's Heating and Refrigeration. By May 1971, she was ensconced in the valley—a place she hadn't seen and had barely heard about before she moved to Bellevue. Riemann started working for the Blaine County Sheriff's Office in 1974, leaving after two years to work for the Blaine County Soil Conservation District and then the Blaine County Recorder's Office. She was elected Blaine County clerk in 1999, and retired from the position in 2007. "It was like a family," Riemann said of the Recorder's Office. "We all got along really well. We all had our responsibilities, but we all had fun." Riemann also served on the Bellevue City Council for several years in the mid-1990s, before she was clerk. "Bellevue has never had a lot of money," she said. "At that time, they were [focused on] putting in curbs and gutters." Riemann said there were no curbs and gutters when she first moved to the valley. "When I moved here, there were 500 people in Bellevue," she said. She's seen growth over the years, she said, but the economic downturn has caused that growth to reverse. "We're seeing so many people move away," she said. "That's sad to see, so many people who I know who now can't stay here." Riemann's current involvement in the community centers on her work with St. Charles Catholic Church, the Blaine Manor board of trustees and the Hailey Cemetery board. Her work with the church actually led to her involvement with Blaine Manor, she said, as she worked as a eucharistic minister to bring communion to the Catholics there decades ago. The manor has changed for the better since then, she said. "When I first walked in there, there was this ... odor," she said. "It comes from patients not being taken care of. Now, that's changed." She was asked to join the manor board by former Blaine County Commissioner Mary Ann Mix, who approached her on the day of Riemann's retirement party to ask her to serve. "I told her I'd have to think about it," Riemann said. "I hadn't even really been retired yet!" But she agreed, and has been serving on the board since 2007. She added that the new staff has made excellent changes in the facility—and that the nursing-home odor is gone for good. "There's a lot of good care that is happening now, and that's what keeps me [on the board], knowing that they do such a good job," she said. As for how long she will remain on the board—and in the valley—she said she's not sure, but that she is grateful for all the chances she had to get involved in the community. "So long as I can be an asset to and help with whatever happens to the manor, that's what I'd like to do," she said. "I've been blessed. All of those things I've done, I've really enjoyed."